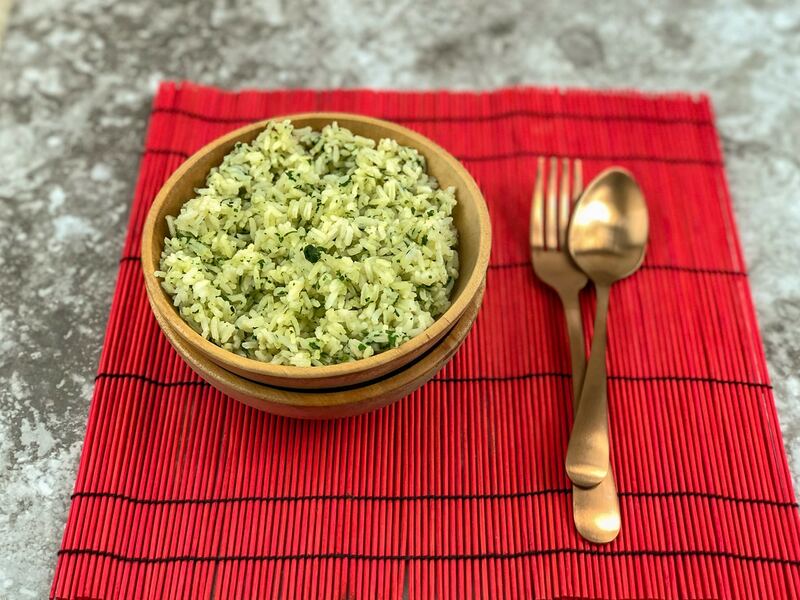 Liven up your plain rice with this cilantro lime rice recipe. 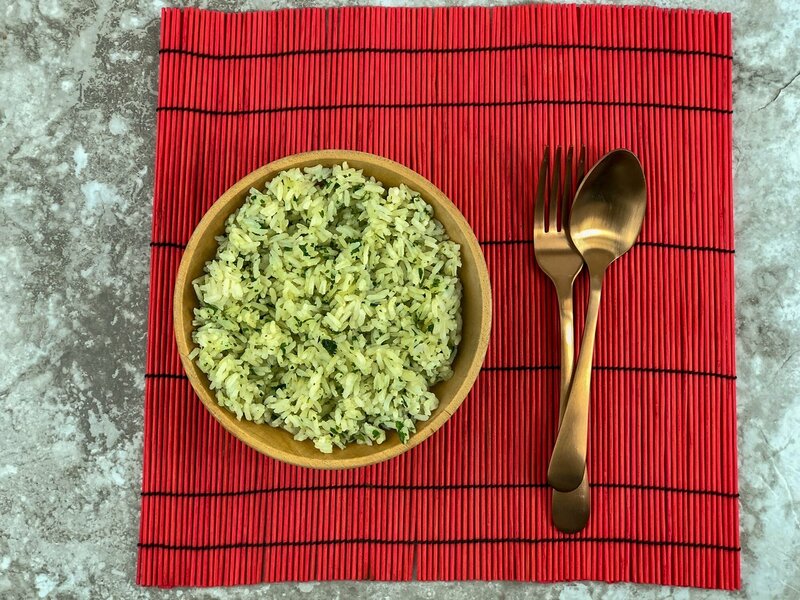 Cilantro lime rice is a bright and colorful rice to dress up your dinner plates! 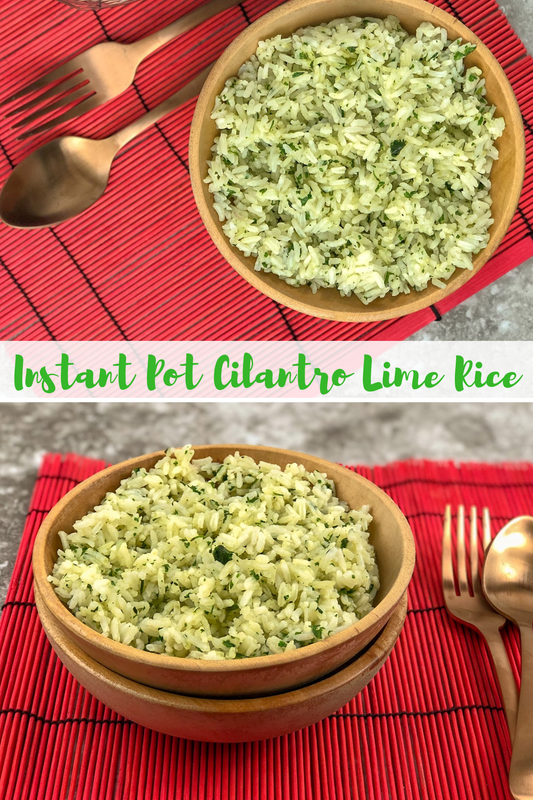 It is a perfect side dish to compliment a shrimp dish, or top some tacos or create a burrito bowl with this delicious Instant Pot cilantro lime rice. This recipe is very similar to the Chipotle-style rice that is so addicting! This rice is so simple to make and is such a versatile side dish to make. 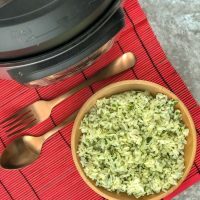 The Instant Pot takes care of all the hard work and cooks your rice until it is perfectly cooked, so you have tender rice every time you make this cilantro lime rice. I made this last week, and I was amazed at the flavor combination it offered. I served it with fresh lime wedges, so you could drizzle it over the top of the rice to raise the elements of flavor! The main dish was grilled shrimp, and it was epic. Next time I make it I think I will use it for burrito style bowls. We had some rice leftover, and I used it the next day for lunch, and tossed in some black beans and topped with some shredded cheese, and it was so good. The flavors blended even more overnight, and amp’d up the taste a ton! 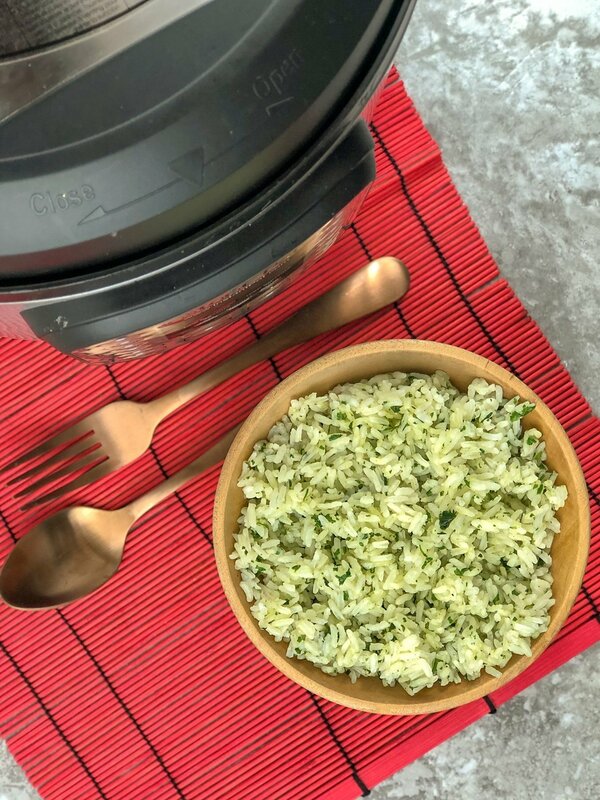 I am telling you all; this Instant Pot rice is a must-make! I will be honest, before my Instant Pot, I kind of failed at making rice. Sometimes I would get it cooked evenly, and all the rice would be cooked, and at other times you would find a hard piece of rice here and there. I think I just got impatient waiting for it to get cooked fully and I would serve it too soon. With the Instant Pot, it cooks the rice so much faster and every time you get evenly cooked rice. Here are a handful of ways to use this rice in your meals, if you need a little help with what to serve it with. 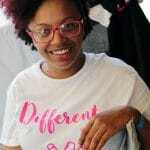 Perfect for Beef, Pork, Chicken, and even Seafood! The beauty of this rice dish is you are welcome to use a variety of kinds of rice. Whether you want to use white rice, brown, or even Jasmine! Each rice will offer a little bit of a different flavor, I have used white, and Jasmine and both are very tasty! 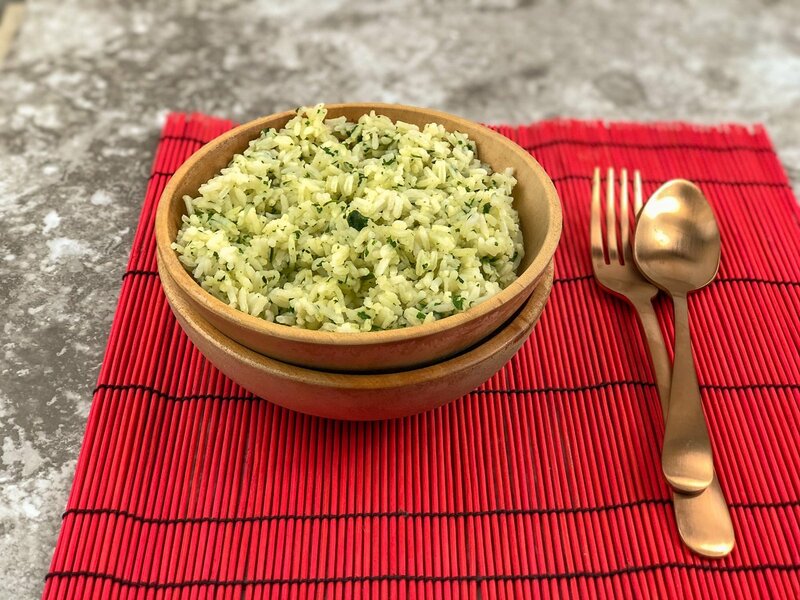 Jasmine rice offers a unique element of flavor that pairs nicely with the cilantro and lime. I have been asked if you can use quinoa in replace of rice, and while quinoa has a distinct flavor, it could help dress it up with the lime and cilantro! If you want to make this in a rice cooker vs. an Instant Pot, prepare the rice like you normally would, and hold back the cilantro and lime. Once the rice is cooked, fold in the chopped cilantro and drizzle with lime. This would be the same directions for stovetop as well. 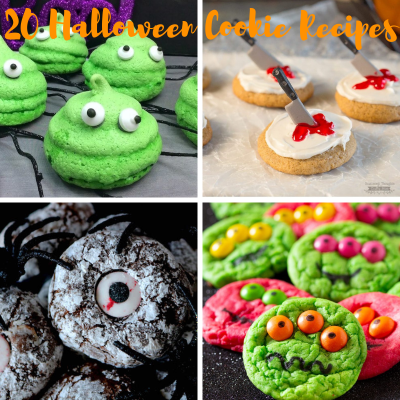 Try these amazing recipes too! Add water, oil, juice from ½ of the lime, the zest, cilantro and rice in the Instant Pot. Lock on lid Rice button on the Instant Pot. Stir in the remaining lime juice and salt. Stir and fluff the rice again with a fork.